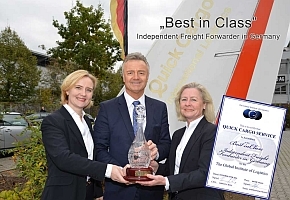 Hamburg Port Marketing has developed to far more than a marketing and promotional agency, it is increasingly liaising with cargo owners on behalf of its members and the port to design the fastest flowing and reliable logistics process. 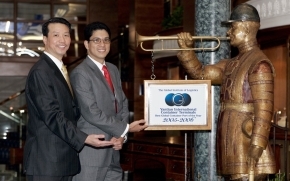 In the opinion of the Institute HPM is the Benchmark in global port marketing. Globally “First Mover” Port Authorities and their communities have devised and developed a myriad of strategies and programs designed to deliver a seamless integrated logistics product to their customers. The Institute established direct relationship with many of them as part of its “The Role of the Container Port in Global Logistics” research. Our aim was to identify strategies that saw port community stakeholders engaged in a collaborative process. Port Community stakeholders like most businesses were found to be primarily interested in business development and when properly informed convinced of the merits of cooperating with their competitors in their pursuit of developing the overall market share enjoyed by their homeport. Members of HHM are constantly linked with one another and with HHM staff, and supplied with detailed data, facts and background briefings on the latest developments in the port and transport sectors and in addition to up-to-date statistics on sea transport, foreign trade and transit services. Members also benefit from the agencies PR activities, which gives the Port of Hamburg a presence worldwide, this is combined with representation at trade fairs, information evenings and customer events around the world. The combined effect of all of these activities is very positive, the Port of Hamburg is a river port and does not enjoy unfettered access to the coast like its competitors in Europe. As a result it needs to stay one step ahead of the game to survive and thrive. As cargo owners became less concerned about port to port execution and focus on point of production to point of consumption in the engineering of their supply chains, access to the Hamburg port community through a single agency is particularly attractive. Today Hamburg Port Marketing has developed to far more than a marketing and promotional agency, it is increasingly liaising with cargo owners on behalf of its members and the port to design the fastest flowing and reliable logistics process. It is the Benchmark in global port marketing. 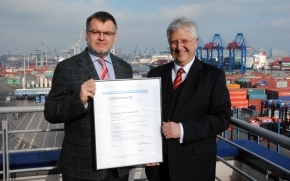 As a non-profit organisation, since the early 1990s Port of Hamburg Marketing has been especially active in building up and expanding market contacts in Germany and abroad for companies in the maritime logistics and industrial sector that are based in Hamburg and the Hamburg Metropolitan Region. The maritime/port cluster has made excellent headway in recent years. Around 332,000 people are meanwhile employed in the port industry and in logistics in the Metropolitan Region. In 2005 the corresponding figure was just 310,000. In Hamburg alone, around 177,000 people are now employed in the port sector or in logistics. Of around 209,000 companies in the Hamburg Metropolitan Region, 12,000 operate in the port sector or in logistics. The training area also demonstrates Hamburg’s special status in Germany. Half of all the country’s port logistics specialists are trained in Hamburg. HHM - Port of Hamburg Marketing’s daily work includes the creation and cultivation of market contacts with the business representatives of trade and industry, as well as the different carriers involved in foreign trade. The extent to which these activities make an impact in terms of additional jobs, tax revenues and the growth of the port and the economy, is hard to quantify. The activities mounted by Port of Hamburg Marketing provide real support for the in general gratifying development of the seaport and logistics industry in Hamburg and the Metropolitan Region. Port of Hamburg Marketing, neither produce nor sell any product. We are a marketing platform. Our articles of association state that the marketing organisation’s tasks are to directly and indirectly reinforce the Port of Hamburg’s competitive position through targeted activities. To put this into effect in the seaport’s hinterland, representative offices have been opened step by step in the relevant market regions. 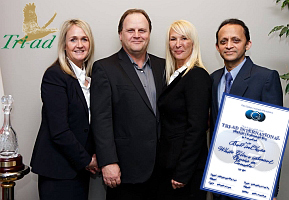 Three HHM representative offices in Germany operate from Berlin, Dresden and Munich, with five elsewhere in Europe, namely in Vienna, Budapest, Warsaw, Prague and St. Petersburg, and four overseas, in Mumbai, Seoul, Shanghai and Hong Kong. In consultation with members and these representative offices, HHM’s head office in Hamburg’s Speicherstadt annually organizes more than 20 presences at trade fairs and conferences, around 60 HHM customer events such as workshops and port receptions, plus numerous briefing events run by member companies, institutions and trade associations. In addition, HHM’s head office accompanies and guides more than 120 groups and delegations visiting Hamburg and the region, provides marketing support for companies, establishes contacts with decision-makers in business, politics and trade associations, and in the service of its members, ensures a continuous flow of information on all port topics. Activities in the different market regions are also supported by active press work, worldwide image advertising and the issue of numerous publications that include the “Port of Hamburg Magazine”, which has appeared quarterly as its customer magazine since 1992, and the annual handbooks “Liner Services via Hamburg” and the “Port of Hamburg Handbook”. Concentrated marketing work and the analysis of international transport chains in seaborne foreign trade, also including hinterland services, are very much in demand for the future development of both the Port of Hamburg and the Metropolitan Region. HHM’s market research team monthly supplies member companies with detailed data, facts and background briefings on the latest developments in the port and transport sectors and in addition compiles up-to-date statistics on sea transport, foreign trade and transit services. HHM members are constantly linked with one another and with HHM staff, and briefed on this network on news, developments and functions, through the PORTblog communication systems launched in 2008. Thanks to being closely networked with seaport business in the Port of Hamburg as well as neighbouring ports in the region and along the Elbe, Port of Hamburg Marketing is firmly positioned in the market. Although numerous member companies on occasion encounter each other as competitors, under the Port of Hamburg as their umbrella brand they are all united by a spirit of community. For HHM, cooperation at the port and in the region forms the basis for the continuing positive development of the port and logistics sectors, and of the port as a whole. Around 280 members are now actively involved in events and market penetration projects, use the variety of opportunities for communicating and presenting their companies, and are engaged in the constituent organs of the meanwhile internationally well-known and respected port marketing organisation. HHM itself also makes a substantial contribution by working in, and cooperating with, numerous associations and institutions. To be able to react even more swiftly and more specifically to changes in worldwide markets and transport chains, HHM is concentrating its activities even more on shippers. All the partners involved in the organisation and operation of worldwide transport chains, with their special requirements and preconditions, are covered in analyses and market penetration schemes. At its Hamburg base and in the relevant market regions in Germany and abroad, HHM cooperates very intensively with logistics initiatives, with chambers of industry and commerce, and with other associations and institutions. HHM work in future will be especially shaped by cooperation with partners in industry, trade, the transport sector, research institutes, trade associations, and naturally our very own members. For HHM, nevertheless, even after 25 years our guiding principle remains that everyday business is our topmost priority. Whether in Germany or abroad, HHM staff are continually accessible for all our members and partners, and happy to assist in the daily solution of problems as these arise. Axel Mattern CEO of Port of Hamburg Marketing delivered the following speech at the Institutes World Port Strategy Forum in Shenzhen. The speech was accompanied by a powerpoint presentation also accessed below. Globally “First Mover” Port Authorities and their communities have devised and developed a myriad of strategies and programs designed to deliver a seamless integrated logistics product to their customers. The Institute established direct relationship with many of them as part of its “The Role of the Container Port in Global Logistics” research. Our aim was to identify strategies that saw port community stakeholders engaged in a collaborative process. Port Community stakeholders like most businesses were found to be primarily interested in business development and when properly informed convinced of the merits of cooperating with their competitors in their pursuit of developing the overall market share enjoyed by their homeport. The use of marketing as a business development strategy proved to be particularly effective in building the port community at the port of Hamburg. Port of Hamburg Marketing (HHM) was founded in 1985 by Hamburg-based port-related companies including terminal operators and forwarding and logistics companies, as a non-profit organisation offering marketing and market research information for its members. Since then it has grown to a worldwide network, including 24 staff in Hamburg and 39 in its 12 representative offices, promoting the business location of the Port of Hamburg and its greater metropolitan area. 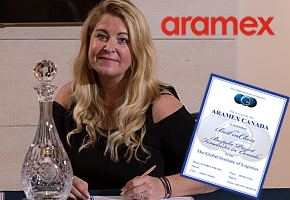 Although member companies are competitors, they are represented jointly by the agency which acts as an umbrella brand uniting its members and creating a "spirit" of collaboration. 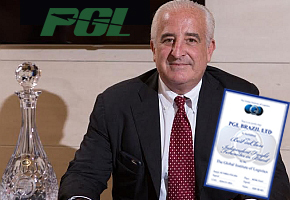 The Global Institute of Logistics (GIL) was established in 2003 under the Chairmanship of renowned US logistician and author Robert V. Delaney in response to the logistics industry’s call for “joined up thinking” amongst stakeholders in the global supply chain. GIL looks to resolve the challenges facing the global logistics chain of managing single transport modes, modal systems and targets which are set on stand-alone operations to create a seamless global logistics system. A Think Tank, GIL brings together thought-leaders and thought-followers as part of a global knowledge network committed to building up the information base, best practices and standards. This, in turn, creates a platform through which knowledge is shared, best practice is adopted and trade developed. Today the Institute is a community of organizations and professionals from across the world that share a commitment to collaborating on global logistics solutions. 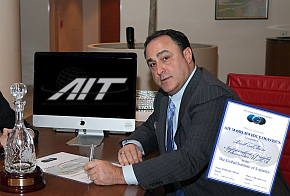 The Institute has begun naming the first of the World's Top 50 Independent Freight Forwarders. The Top 50 when completed will form the nucleus of a new benchmarking group being convened to set and raise standards in the industry. 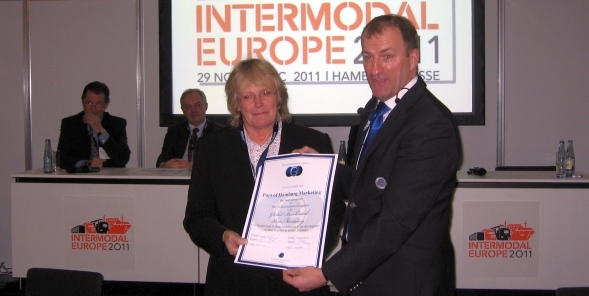 The World Freight Alliance has been named the benchmark Independent Freight Forwarding Network globally.The announcement comes as a result of the Institute’s preliminary findings from its research study Independent Freight Forwarding in Global Logistics The purpose of the research is to investigate the increasing trend by Beneficial Cargo Owners (BCO’s) to outsource the management of their global logistics requirements to independent freight forwarders. 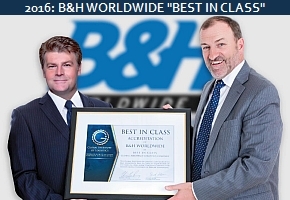 HELLMANN WORLDWIDE "BEST IN CLASS"
The Global Institute of Logistics has named Hellmann Worldwide Logistics as the world's "Best in Class" logistics service provider. 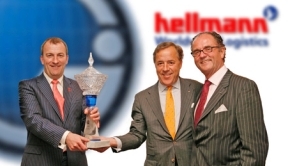 The main reason for the accreditation was Hellmann’s commitment to building relationships with customers, partners and employees throughout the world. Findings published in 2005 led to the accreditation of Yantian International Container Terminal in Shenzhen Southern China, a member of the Hutchison Port Holdings group of terminals, as the worlds "Best in Class" Container Terminal. 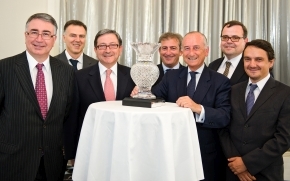 Spain’s number one container port, Valenciaport has been honored with a global “best-in-class” designation following a review of operating standards within global maritime port communities.